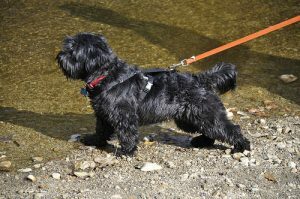 The Scoodle, also known as a Scottish Shoodle or Scottiepoo, is a mix of Poodle and a Scottish Terrier. They are affectionate, loyal and intelligent dogs. They love to play and need moderate exercise every day. Grooming such a mixed dog won’t be that hard, as long as they have shorter coats, which come from its Scottish Terrier parent. However, for those with the curly coat that comes from their Poodle parent, things might be more difficult. The traits of their personality as well as temperament can be inherited from both parents. As it happens with all mixed breeds, the Scoodle is formed with contributions from both parents. As mentioned, the temperament of Scoodles is usually a combo between the traits coming from both of its parents. They have become very popular, for the reason that they are gentle, loving and outgoing. They also have this stable and steady personality. They are active, energetic and supple dogs. However, they could be aggressive with other dogs, so training them early on how to socialize with other pets is important. Although they can be aggressive to other pets, they are downright affectionate with people. Regular daily exercise is needed for this hybrid, and both indoor and outdoor games are good for them. They love being with their owners, as being alone for long periods of time will only stress them out. Usually, Scoodles have wavy to curly coats, coming from the Poodle parent. The coat could be wiry, medium to short length and needs to be brushed every day to keep it tangle-free and clean. Bathing them is also important, but it should not be done every day, as it may eliminate the natural oils from their coat, leaving it dry and unhealthy. You need to be consistent in terms of correcting your Scoodle every time it has done something wrong, but you should also praise him for doing right. 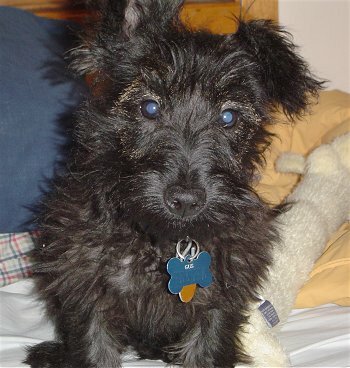 If you have this hybrid, you need to understand that it may have the Poodle and Scottish Terrier nature. Scottish Terriers are active and lively purebreds and they love to have some time every day where they are walking and playing with you. They are sturdy in build and can be fearless at times. They have this independent and calm nature, and they can learn things easily. Downright stubborn, that’s what they are, so your patience can be challenged here. Albeit human-friendly, they exhibit aloofness towards strangers. They can be really loving and loyal to their owners and need a good bond with the whole family. Socialization training is also essential with this dog, as they can be aggressive to other animals. Poodles actually comes in three different sizes, so these traits can also be passed to the Scoodle, depending on which one is its parent. In terms of intelligence, the Poodle has been marked as of the 2nd most intelligent dog breed in the world. They are eager to please, they can excel in obedience training and quickly learn and delight owners by showing tricks. Poodles are fairly easy to housebreak. They are devoted and loyal companions and really love people. They crave attention and love and usually become stressed out when they are alone for longer periods of time. This purebred is perfect for the family, for the reason that they can go along with children, but the miniature and toy ones are far better for the older kids. Although they become stressed out whenever they are alone, you cannot really trust them with households. When it comes to their coats, they do not shed that much, because of their dense coat, which is curly or corded and has to be groomed every 6-8 weeks in order to prevent tangles and mats. These dogs could also work well for low-maintenance grooming, as they can go for shorter cuts. They come in different colors, so there’s apricot, blue, white, black, cream, silver, gray, red, brown, and multi-colored ones. 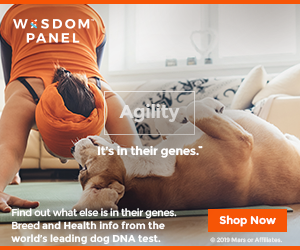 Since this breed doesn’t shed a lot, they are categorized as hypoallergenic dogs and are compatible with people with allergic reactions to dogs. They are also energetic, so they love exercising. You can go for a walk with them, play with them or even have them run at the dog park. They will surely appreciate it, especially if they are with you.